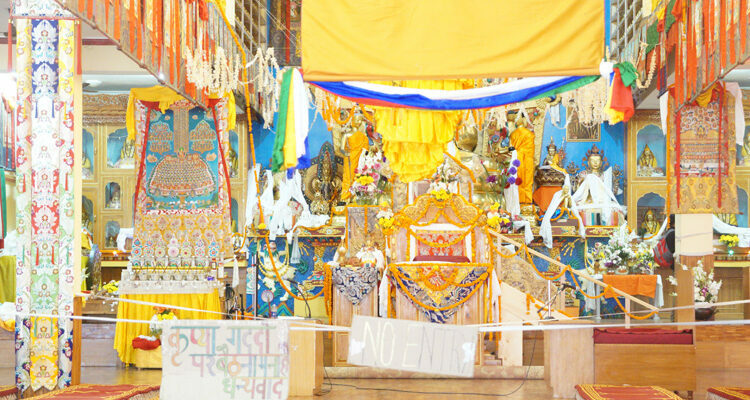 The Dhakpo Shedrupling Monastery in Kullu valley has a lifelike wax figure of Dhakpo Rinpoche who visits every year in the month of August to bestow his blessings and the teaching classes are open for all. The statue, which was made in Indonesia, sits in a meditative posture. The detailing is so finely done that people often mistake it for Dhakpo Rinpoche himself, sitting in the meditative posture. The world that we live in today runs like a fast paced action thriller. With so much to keep up with, a short escape once in a while seems more like a necessity than luxury. Kullu, a picturesque valley nestled in the lap of pristine snow clad Himalayas, by the banks of forcefully gushing Beas makes up for a perfect venue for one such getaway. The place has a diverse crowd of visitors that consists of honeymooners, adrenaline junkies and travellers alike and has something to offer to each of the kinds. So this time when I set out after what seemed like months of strenuous existence, I knew where I’d find the much needed tranquility. And Kullu, as always, did not disappoint me! Entrance gate of the monastery. On my way from Tosh to Naggar, I spotted a wonderful but relatively unexplored monastery in the beautifully situated Kais village in Kullu town. Located on the Kullu – Naggar Road, it is approximately 10 kms from Kullu. The Dhakpo Shedrupling Monastery, popularly known as Kais Monastery, is situated by the left bank of river Beas and offers a spell-bounding view of the surrounding valleys. 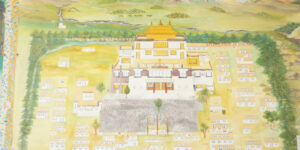 The Monastery was inaugurated by His Holiness the Dalai Lama in 2005 and has been dedicated to him. The monastery consists of a boarding school for the study of Buddhist philosophy and is home to several monks of various age groups. Thanka Art paintings outside the monastery. As I entered the premises, I noticed that there were many children with whom the young monks were busy playing. 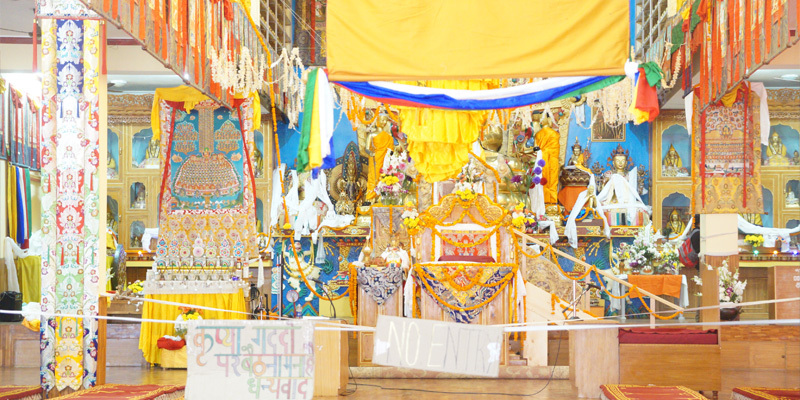 On inquiring, I was told that the families of the monks could visit them on holidays and that the siblings often pay visits and spend time engaging in such fun filled activities. Also the monastery was home to cute little puppies of various breeds and the monks are more than happy to let you adopt one! Overall the place had a warm, cheerful and relaxed ambiance that filled each one of us with a certain sense of happiness that is difficult to define. 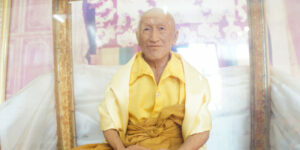 Wax statue of Dhakpo Rinpoche. 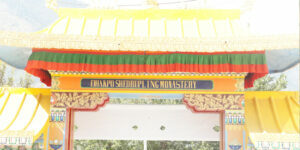 A lifelike wax statue of Dhakpo Rinpoche is prime attraction of the monastery. The statue, which was made in Indonesia, sits in a meditative posture and has been made with such finesse that it is often difficult to believe it isn’t real. I spent about two hours in the monastery where all my queries regarding Buddhism were readily answered by the friendly and happy-to-helps monks. After having been shown the interiors, I decided to explore the exteriors on my own. The view outside was beautiful and the vicinity so peaceful that it seemed like a perfect spot to meditate or even sit for a while and relax. By the time I left, I was in a state of bliss and could feel nothing but positive vibes around me. While all of us may have our own different reasons to visit Manali, if at any point you feel the need for some peace, calmness and positivity coupled with an amazing view to sit back and rewind, this is the place to consider. You’re bound to be enriched with a wonderful experience! LOCATION: Kais village (10 Kms from Kullu) on the Kullu – Naggar Road. 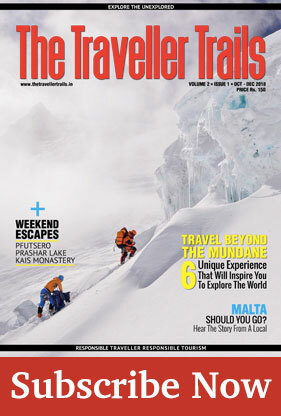 It is 18 Kms from Bhuntar airport and 31 Kms from Manali.